For the first time ever, see the creative world of LEGO come to life in the all-new feature-length DVD movie. Meet Clutch Powers, the best builder and explorer in the LEGO universe as he heads off on his most dangerous mission yet. Join Clutch and his team of LEGO experts as their adventure leads them from LEGO City to the Space Police prison planet to the medieval world of Ashlar where they must help the rightful heir to the King’s throne find the courage to regain the kingdom from the evil wizard Mallock the Malign. Their brick-building skills will be put to the ultimate test as they face off against Mallock’s skeleton army. Get ready for an action-packed adventure like nothing you have ever seen before, The Adventures of Clutch Powers! A word of caution before I start the DVD review, please do not attempt to touch this DVD if you are one) not a fan of Lego toys and two) not parents to kids below the age of ten. As I for one belong to the first category, I guess I’m the right person to review "The Adventures of Clutch Powers" among our stable of reviewers. 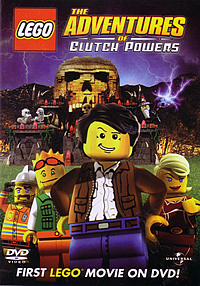 Clutch Powers for the uninitiated is the best explorer in the Lego universe, sort of a contemporary 'Indiana Jones' who is assigned by his boss, Kjeld to investigate a prison break on a distant planet. Together with the only lady (a brave one no less) in the group Peg, an impulsive weaponry expert Brick and a brainy engineer Bernie, they must bring back the escaped evil wizard Mallock and also help the Prince of Ashlar regains his throne. The fun in this first Lego CG animated movie is not the story itself as you can read from the above description that this is definitely not a sophisticated movie that boasts original, mind-racking plotting. Seasoned Lego fans on the other hand will find the numerous Lego-inside jokes fairly entertaining for examples the extra hair piece which Peg brought along for the mission and a ridiculous looking off-road jeep which is assembled from a destroyed cart. Why is it funny? Because Lego figures only comes with a designated single helmet or hair piece thus Peg needs to bring an extra one if she decides to change her hairstyle. Get it? Never mind if you don’t get the inside jokes but "The Adventures of Clutch Powers" indeed effectively carried the spirit of encouraging one’s imagination by building and dismantling the various bricks into different forms the way the toys in real-life does. And you might be slightly perturbed by the fact that Lego figures don’t actually 'die', they can be easily taken apart and back. You might argue the movie is just a plain major toy ad that unabashedly boasts some of their renowned toy lines including Power Miners, City, Space Police and the Castle series with the exception of their licensed toy lines such as Star Wars and Indiana Jones perhaps of licensing issues. Like I mentioned earlier, this movie is catered to a specific audience and I’m sure some of the slapstick humor and Lego-related gags contained here might not go down well for the mature audience. The level of CG detailing here is minimal though it serves its basic purpose. Will we see the last of Clutch Powers? 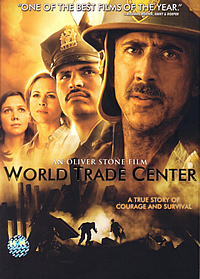 I doubt so as the movie ends on a cliffhanger with the remaining two escaped prisoners still on the loose. If your kids are getting impatient with the usual Disney and DreamWorks’ titles spinning in your player, it’s perhaps wise to purchase "The Adventures of Clutch Powers" and give it a spin or two to amuse the younger ones. There’s a funny Bad Hair Day short and a Power Miners mini movie to amuse the kids further. If you want to avoid depleting your wallet, try skipping the TV commercials which feature what else, the latest Lego toys. The visual is colourful and vibrant enough to hold the younger ones' attention and the audio while not exactly dynamic is clear and substantial.